If it felt like record heat in the Las Vegas Valley this July, that’s because it nearly was. Valley residents endured the second-hottest month in recorded history with an average temperature of 95.8 degrees for the month of July, falling just short of the average temperature of 96.2 degrees recorded in July 2010, the National Weather Service said. “I’m surprised it wasn’t first because it felt hot,” said Andy Gorelow, a meteorologist in the weather service’s Las Vegas office. Death Valley didn’t disappoint on the record front. The hottest place on Earth just finished the hottest month ever recorded in North America, and possibly the hottest month ever recorded on the planet, Gorelow said Wednesday. Meterologist Todd Lericos told The Associated Press earlier that the month’s average temperature of 108.1 degrees scorched its own record of 107.4 set last July. All but one of the last 18 days of July reached at least 120 degrees in the park located about 100 miles to the west of Las Vegas, Death Valley National Park spokeswoman Abby Wines said in a release. Temperatures reached a toasty 127 degrees for four straight days near the end of the month. The heat likely contributed to the death of one person, 57-year-old Peter Rhoad of Huntington Beach, California, and to the deaths of about a dozen local animals living in the park, the release said. High air pressure over the desert Southwest kept the heat in and the cold out, Gorelow said. “Nothing could break down that ridge to bring in the cooler weather,” he said. Nightfall didn’t provide much relief. 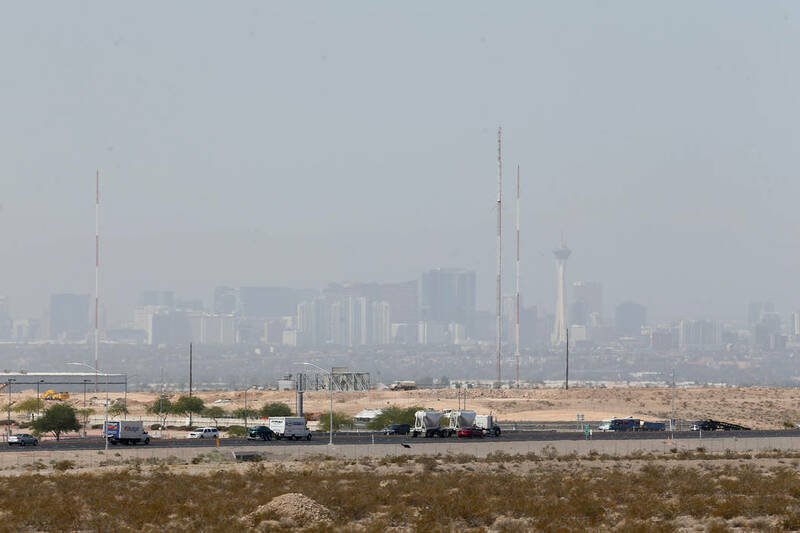 The high pressure coupled with monsoon season moisture in the Las Vegas Valley fueled cloud coverage, which in turn kept overnight lows relatively high, he said. Las Vegas finished July with its third-highest average minimum temperature at 84.6 degrees. 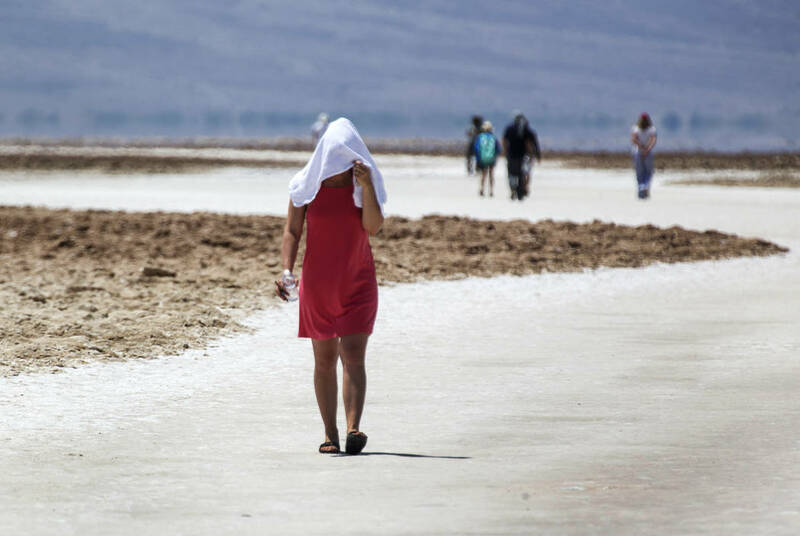 Ten days last month Death Valley didn’t drop below 100 degrees at the park’s official weather station in Furnace Creek, California, the release from the park said. The park experienced the highest average minimum in its history at a sweltering 95.7 degrees. July temperatures typically average 102.2 for Death Valley and 92.5 for Las Vegas. Reno residents also endured their hottest month in history, too. eno residents experienced 14 days of at least 100 degrees, the most since records were first tracked in 1893 and only three days shy of the annual record for most 100-degree days. “Definitely a hot July,” Gorelow said. A slight chance for showers is possible Thursday and Friday, but the valley should dry out by Saturday, the weather service said. “We shouldn’t see anything over the weekend unless something funny happens,” Gorelow said. Thursday’s high is expected to reach 106, and Friday’s high is forecast for 107. Temperatures will creep up to 109 on Saturday before dropping off slightly at the start of next week, with a high of 107 on Sunday, 106 for Monday and 104 for Tuesday, the weather service said. Contact Mike Shoro at mshoro@reviewjournal.com or 702-387-5290. Follow @mike_shoro on Twitter. Review-Journal staff writer Max Michor contributed to this report.